Okay, so you're getting ready for bed, you grab a cotton ball, apply some liquid eye makeup remover and apply this to your eyelid and eye area. You apply your nightly face moisturizer, smile at yourself in the mirror, so proud that you took your makeup off before bed. 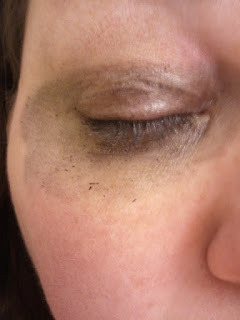 The next morning you wake up, spring out of bed, look in the mirror...but instead of a smile this time, its a surprised look that you have a bunch of black gunk smeared under your eye area. What the heck? I took my makeup off last night! Well, here is the dirty little secret your eye makeup remover isn't telling you. You look down at the bottle, disappointed, and finally it looks back up at you, ashamed and admits "Ok, so I don't really get all that gunk off your eyes"
"Huh?" "But you told me you did! I read it on your label"
Again, with an even more ashamed look, the bottle mumbles "and there's something out there that works better and is cheaper." Ding Ding Ding! Petroleum Jelly or Vaseline! This will cost you around $2 for a huge jar. And the bonus is, it is great for your lash growth. 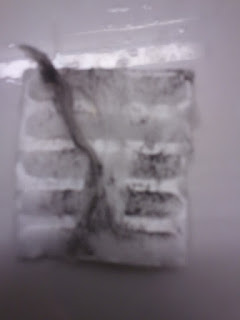 Justina had used this at bedtime on her lashes for a week or so and her lashes were amazingly long as seen here. We have previously posted about the uses of this product here as well, but I thought it deserved the spotlight again. (I am currently in my test run and have noticed some lash growth and have abandoned my Lashology trial out of pure jealousy at Justina's long lashes). Okay, can I get a big "YUCK"!!!! Side Note: I do love these towelettes. They are a refreshing and great way to get your face makeup off (and apparently just a little bit of your eye makeup), but they can be a good substitute when you don't feel like washing your face and will run you around $5. Used the Burt's Bees previously and then the Almay eye makeup remover (with the claim to be the #1 brand in America). Not quite a Knock Out this time, but still a pretty big win! And this is the gunk that was still on my lids after using both Burts Bees and Almay. The Vaseline still got a considerable amount of makeup off for being the third product used. This wasn't intentional either, I actually used more Almay and wiped makeup for longer than usual to see if Almay would get everything...clearly it didn't! 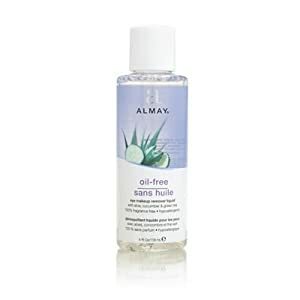 Side Note: I still do love Almay products. 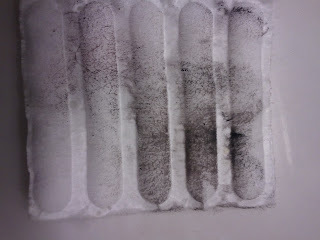 In fact, I just finished off a pack of their face towelettes the other day which I love. Sometimes it just depends on your mood I guess which product you reach for, but hands down its mainly been vaseline for me lately. 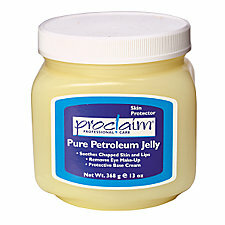 ....And the title goes to Petroleum Jelly aka Vaseline! (and why did I start at talking to my makeup remover to using boxing references? Its soooo unlike me, except I just watched The Fighter recently and it was awesome). You don't want to be sleeping with this gunk on your eyes, getting onto your pillow, and leaving you looking like you had a rough night at a crack den the next morning. So, why not just use the product that gets it all off and makes your eyelashes grow? You also do not want to be tugging at this eye area since the skin is extremely delicate. 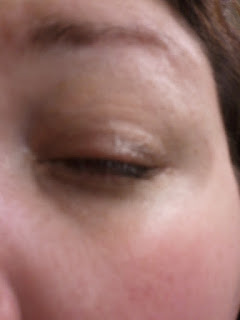 The leftover mascara, eyeliner, shadow, etc, seems to literally just slide off with the Vaseline with no effort, tugging, or pulling. And that means you are keeping this delicate area healthy and tight instead of having it prone to wrinkling and aging. Plus, if you have dark products that are settling into your under-eye area, it can make the area looker darker than it actually is and no one wants this! In fact, we are all in a constant battle to hide our dark under-eyes, so why use a product that doesn't quite cut it? Thanks for this yucky, fun, and crazy trip down Soap Box Road with me. Click here for an ingredients list. Don't forget to be one of the first 25 to both subscribe and comment on this blog post to be entered into our drawing for some free products! hello beauty gems! thanks for the sweet comment. i just use windows movie maker for my editing. These are really best tips. I have used it. It's really best product. I like it very much.